If your website isn’t serving you and your clients well, this should be a #1 priority for 2019. I’m not just saying this because we design websites (although we DO have new sites in the shop, wink, wink…). Whether you are a photographer or a knitter who sells handmade potholders on Etsy, you need a website of your own. Having a beautifully-designed space on the web can mean the difference between being a hobbyist and a professional. Creating a website for your photography studio or creative business doesn’t have to leave you feeling defeated. After shelling out thousands of dollars on a web designer who stopped responding to our messages, I decided to take things into my own hands. I’ve spent YEARS trying to learn as much as I possibly can about Squarespace, the platform we use and love. It has always been a goal of mind to create beautiful, mobile-friendly websites that include professional installation, and I can’t believe that day is finally here! "I have been meaning to reach out via Instagram just to say how much I loved using the template that I purchased!! I am in the middle of my busy season and knew I needed to update my website for this upcoming season of brides/clients who would be viewing it! I was so overwhelmed because honestly I felt like i didn't have the time or the knowledge to make my website what I had envisioned, & when I found Bittersweet Design Boutique and the template that I purchased I was so happy! It was such and easy and smooth process that I only had to set aside one day to be able to complete it!!" Have you ever admired someone’s work, then after visiting their website, the sound ‘whomp whomp’ plays in your head over the loud speaker? We’ve been there and done that. If your website isn’t catering to the type of clients you dream about booking, it’s probably time for a little update. 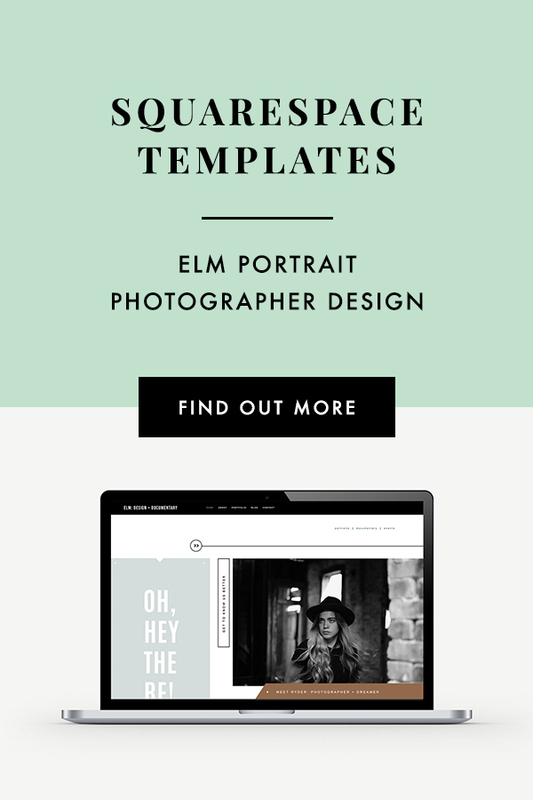 Whether you are new to Squarespace, or you’re a seasoned pro with little time on your hands, our website templates save you TONS of time & moolah. All of our sites come with detailed video tutorials + customizable design files that allow you to get your new site launched in no time! We’ve written about Squarespace before, as it’s the platform we use for our own website, e-commerce shop, newsletter, hosting, and more. It’s been such a game-changer for us and our business, and we want to share all the resources we find & love with you. Read about some of the reasons we switched to Squarespace to see if it would save you from a few headaches.